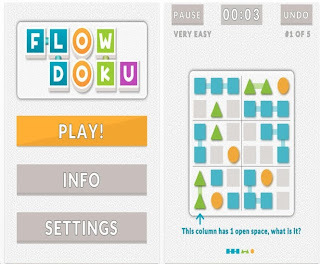 When I first saw FlowDoku, I thought: okay, it's another version of Sudoku. Each square region - or rectangular region, depending on the grid size - must contain the same number of blue squares, green triangles and orange circles. 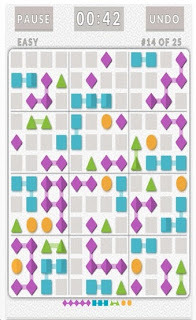 The blue squares must be connected. 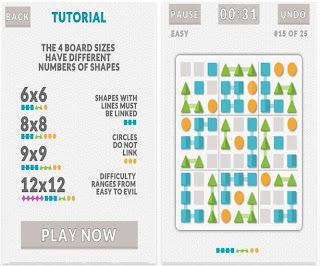 The green triangles must be connected. The orange dots are free agents. I cannot believe how good these puzzles are. 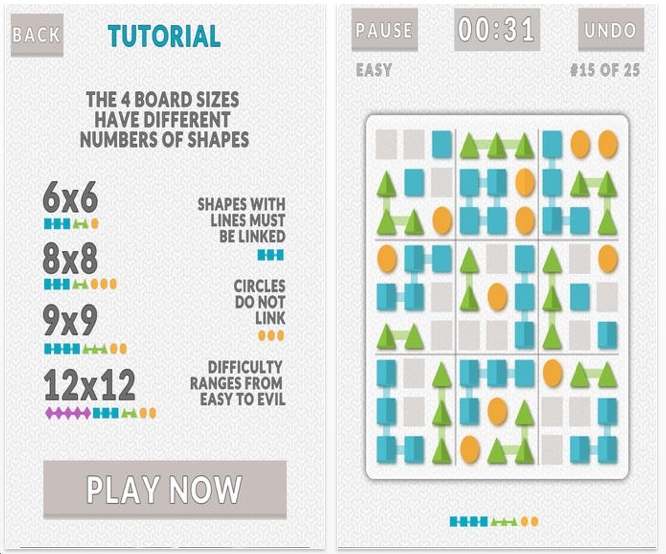 In the 6x6 grids, I solved 30 of them in 55 minutes. In the 8x8 grids, I solved 50 of them in a little more than 3 hours. In the 9x9 grids, I solved 50 of them in 4.5 hours. All of those were either 'easy' or 'medium' levels. 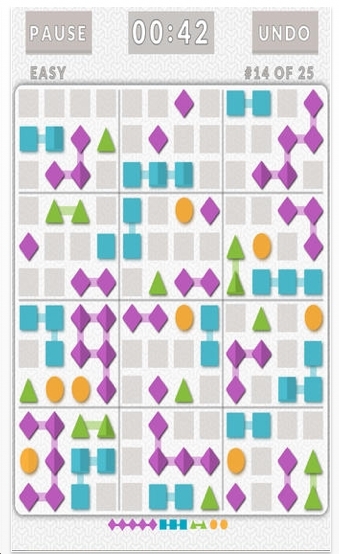 I have not played the 12x12 grid sizes yet. FlowDoku is a great concept. It's fun. And did I mention that it's a great value? Totally free. 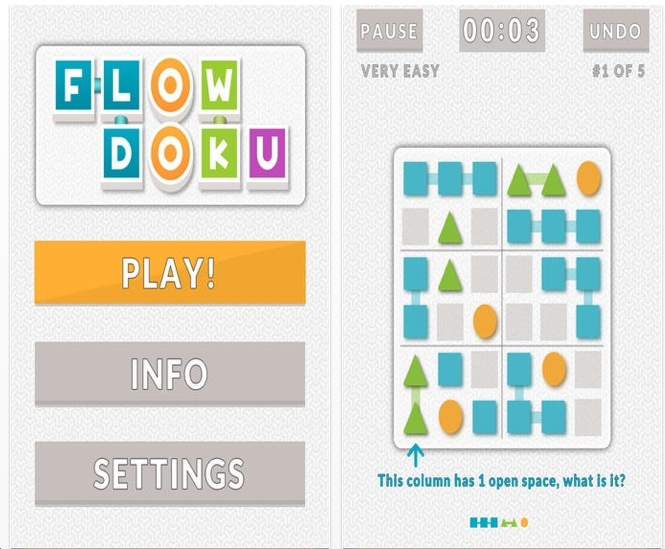 FlowDoku is a fabulous puzzle game app! Bravo.